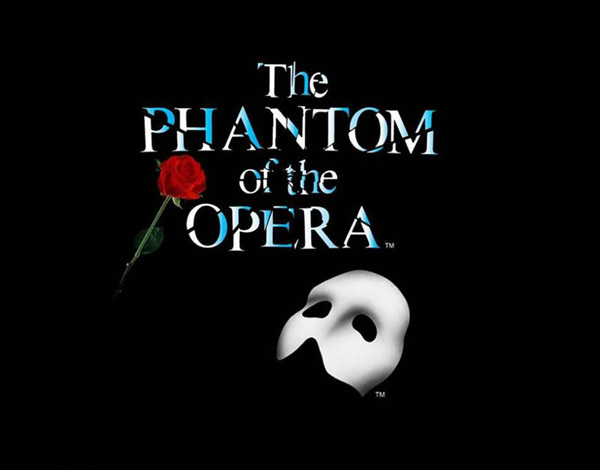 "All I Ask of You" is a song from the Andrew Lloyd Webber musical version of The Phantom of the Opera. It was released as a single by Cliff Richard and Sarah Brightman in 1986. In the UK it reached No. 3 on the Singles Chart and was certified Silver. It reached No. 1 in both Ireland and South Africa. 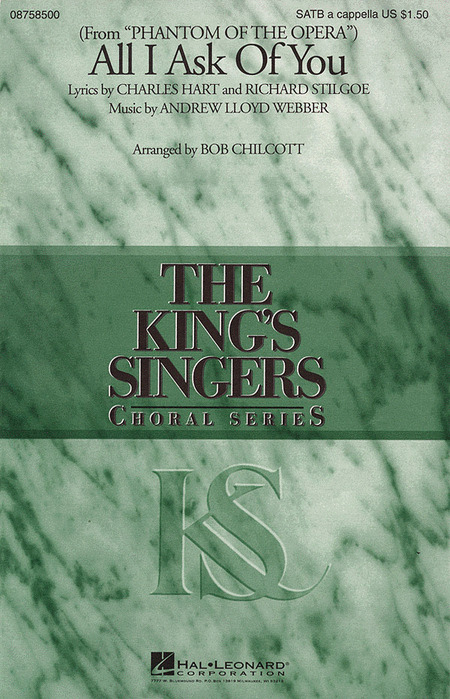 To celebrate their 40th anniversary the Kings Singers compiled a collection of their most-requested arrangements from the past 15 years since the release of the still best-selling 25th anniversary songbook. Some. like "Danny Boy", "All I Ask Of You" and "Blackbird" date from earlier in the group's history but are still performed regularly by the group and choirs all over the world. Others, such as "Down To The River To Pray", "Under The Sea" and "Africa" have already established themselves in the repertoire of many groups they come in contact with on their tours. Here, then, is a carefully selected mix of folk songs, pop songs and spirituals plus the exquisite Victorian parlor song "The Long Day Closes". Now you can team up with a fantastic vocalist to make beautiful music from ten of Broadway's most beloved duet moments! This collection includes a CD with example vocals on each song plus separate background tracks so you can sing along. Songs: What Do the Simple Folk Do - We Kiss in a Shadow - Summer Nights - I Remember It Well - Think of Me - People Will Say We're in Love - Bess, You Is My Woman Now - Make Believe - It Only Takes a Moment - All I Ask of You. All I Ask Of You is the love song that triggers the Phantom of The Opera's jealous campaign of retribution in Andrew Lloyd Webber's legendary musical; Cliff Richard and Sarah Brightman took it for a spin in 1986 and had a hit single. Big Spender became even more popular than the 1966 musical from which it came - 'Sweet Charity' - and Shirley Bassey did much to popularise it later. Written specifically for Colm Wilkinson, Bring Him Home is the emotional song from Act II of Les Miserables while I Have A Dream is a no less emotional Abba number that is included in the record-breaking stage musical Mamma Mia. This expansive series takes a deep look into contemporary theatre repertoire for singers, spanning the 1980s to the 1990s and into the new century. Some songs in these collections have never before appeared in print. Approximately 35-40 selections per volume represent the most interesting choices for singers from a wide variety of Broadway, Off-Broadway and London shows. 36 songs recorded by well-known artists, including: Andrea Bocelli, Josh Groban, Jackie Evancho, Sarah Brightman, Il Divo, Charlotte Church, Il Volo, and others.